After months of anticipation, Orange County’s Stick To Your Guns have teamed with Alternative Press to begin streaming their fifth full-length record, Disobedient. A follow-up to 2012’s critically acclaimed Diamond, the outfit’s latest effort was produced by John Feldmann (The Used, We Came As Romans), and features guest spots from Toby Morse (H2O), Walter Delgado (Rotting Out), and Scott Vogel (Terror). Check it out below and let us know if you’re a fan in the replies. Next week, STYG will kick off a month-long nationwide run alongside The Amity Affliction, BAAO, ’68, and In Hearts Wake–for additional details, head here. 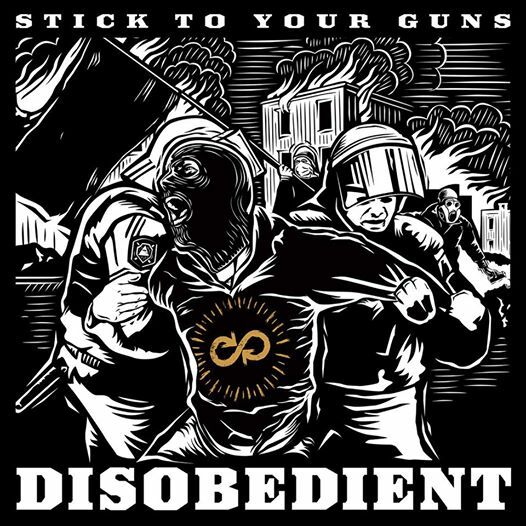 Disobedient hits shelves this coming Tuesday, February 10 via Sumerian Records. Pre-orders are ongoing.